Register before June 1st, 2019 for discounts! Click on the "Register" link below to access discounted registration for the 2019-20 season. Next season (2019-20), in addition to a Mites (2011-2013) team, Twin Valley is committed to having a Travel Squirts team to play in the New Hampshire GSL Tier IV or V division. There will be no tryouts and all players born in 2009-2010 are invited to join. As always, Twin Valley will provide a fun, affordable, family-friendly atmosphere for all our players and families. Thank you to everyone for your donations to the Upper Valley Haven! Twin Valley Hockey has a variety of used equipment available for free. If you are looking to outfit your child and want to know where to start, please contact Matt Underhill at maunderhill@kua.org. 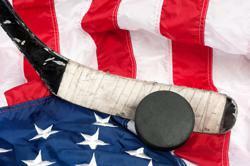 The Twin Valley Youth Hockey Association is in critical need of executive board members. TVYH is a not for profit organization that runs completely on volunteers. Parents with young hockey players are strongly urged to inquire about open board seats. Your time and energy is what is needed to keep Twin Valley strong and committed to youth hockey. The TVYH board meets once a month and as needed when circumstances present themselves. Board Members take turns attending the NHAHA monthly meeting in Concord, NH. If you are interested in a board seat please feel free to contact Eric Russman for details. ©2019 Twin Valley Flyers Hockey Association / SportsEngine. All Rights Reserved.